Domo's always telling Pipkin, "Go big, or go home". After all the supersized chocolate at Chicago's Hershey's Chocolate World, Domo was on a roll. How do you top half pound Reese's Peanut Butter Cups? Apparently, with pounds and pounds of cheese, baked into a classic Chicago deep dish style pizza from Giordano's. If you're going to have deep dish pizza, you will need patience. It takes about an hour for these pies to come out of the oven, and they smell soooooo good. 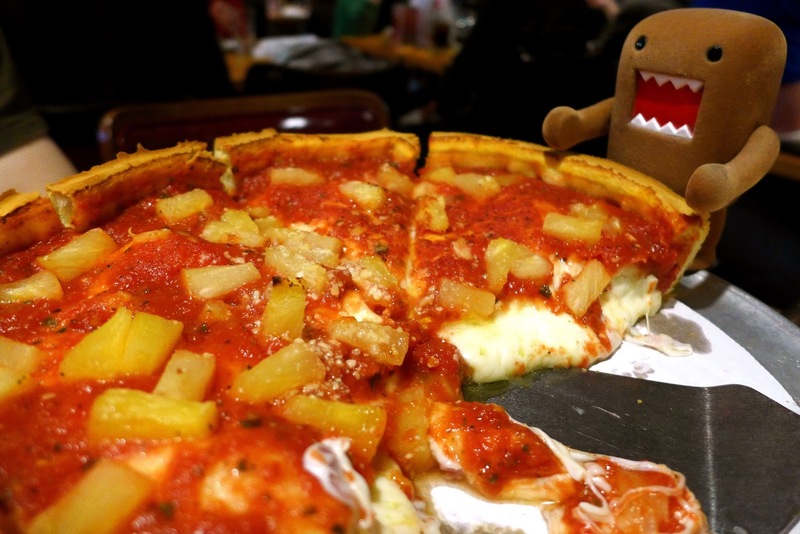 But deep dish is...a bit much, even for appetites and mouths as big as Domo's. It's basically like eating a brick of melted cheese. Which is fine, if that's your thing. Domo thought it was his thing. But there was no way he was going to get through this pizza. It's just too much. But when in Chicago...om nom nom nom nom. You kind of have to do it, once. 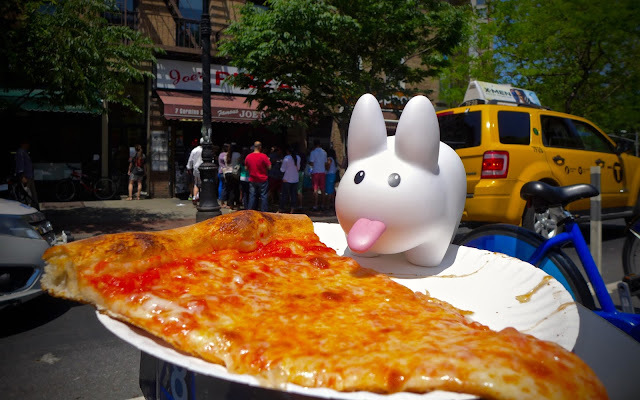 When it comes to the great Chicago vs. New York pizza debate, Pipkin definitely prefers New York pizza! The thin crust and tangy sauce...oh yes. There's just nothing like a simple slice of cheese pizza, and it doesn't take an hour to come out of the oven! 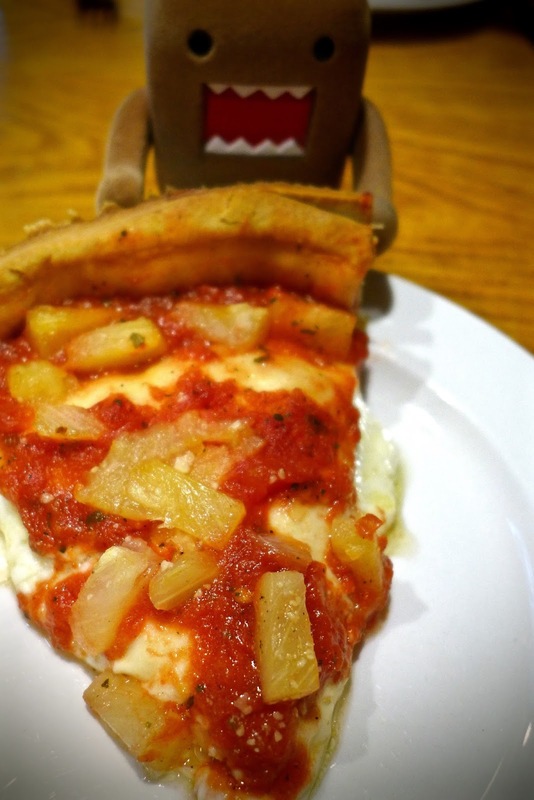 Pip enjoyed this slice at Joe's Pizza in Greenwich Village, a month after his trip to Chicago. More posts from NYC to come, but first, we'll wrap up his visit to Chicago. Which city's pizza do you prefer? Chicago or New York? As for Domo's, "Go big, or go home" statement...Domo ended up going home with a bit of a brick-of-cheese belly ache.